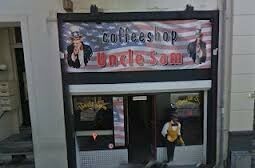 One of the best coffee shops in Arnhem must be Uncle Sam. It is the coffeeshop with the nicest and biggest smoking area where you can chill with your friends, play some pool or watch the TV screen. Great ambiance and cheap weed strains pricing comparing with the others. I will put Uncle Sam on my list when i will visit Arnhem again. Check the comments about coffeeshop Uncle Sam in the comments section at the bottom of the page! Can you buy vape cannabis in Arnham?